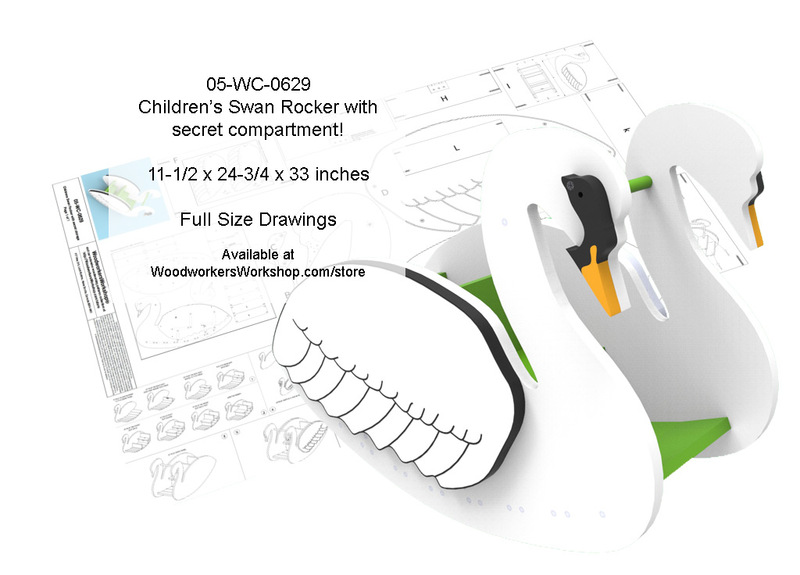 We finished creating this new woodworking plan today, our Childrens Swan Rocker with secret compartment. Children will be able to climb in their own seat and rock away. Add the painted details in layers or simply paint them on the side. There is also a bonus seat in the back for their favourite teddy bear or doll. Or use it to store some toys. Also, a secret space for children to hide away small treasures. Full size drawings! How do I go about getting the swan rocker plans? Hi Rosemary, Thanks for pointing out I forget to include the link. If you check back now, up in the text you will see the link to the page where we sell the plans for the Swan rocker.